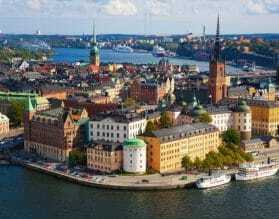 Exeter International has been expertly planning custom travel itineraries to Stockholm for well over a decade. Contact us today to let our team plan your trip to Stockholm and beyond! 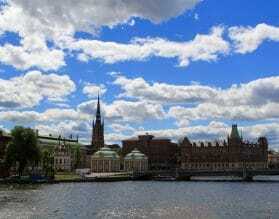 Stockholm’s city center is situated on a few islands within the larger archipelago of Stockholm proper. Built on fourteen islands where Lake Malaren meets the Baltic Sea, Stockholm’s seascape is made up of more than 30,000 islands that lie just off the city’s shores. Dating back to the 13th century, Stockholm is home to a wide range of architectural types, predominantly medieval and renaissance. Stockholm’s diverse art, music, design, and cuisine scenes will allow even the most discerning globetrotters to find their groove in Stockholm. After a day of exploring Gamla Stan (Stockholm’s Old Town) and Riddarholmen, the 13th century medieval district, sit back and relax at the Absolut Ice Bar – everything down to the fixtures made of ice and warm clothing provided by Absolut. For a dose of fairy-tale charm, Drottingholm Palace, a UNESCO World Heritage Site, is a short boat-ride away. Drottingholm boasts an 18th century theater, still in operation today, using its original sets and stage machinery from the time of its construction. It is certainly possible to organize your visit to Drottingholm Palace around a performance in this iconic theater. Visit smaller towns like Uppsala and Sigutna and communities like Trossa and Mariefred take you to a by-gone era. Don’t miss a visit to Gripsholm Castle in Mariefred – one of the best preserved monuments in the country. Exeter International’s experiences in Sweden will immerse you in the Scandinavian ethos. Stockholm is the perfect base to explore the surrounding countryside, while retreating to your luxury hotel in the evening. 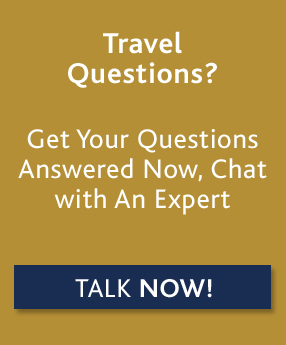 For custom luxury travel and tours to Stockholm, please contact one of our travel experts, or read on below for more information about where to go and when, along with our Insider's Guide. No matter what time of year you visit Stockholm, you’ll have a completely different experience. The summer months are certainly the most popular time to visit, as the daylight is seemingly endless and temperatures sitting in the low 70’s Fahrenheit make for comfortable touring conditions. That being said, it’s also the busiest time to visit. During the summertime, Stockholm is a popular embarkation and debarkation city for many cruise lines on Baltic itineraries. For our guests on cruises, we encourage spending a few days at the start or end of your cruise in Stockholm taking in all the city has to offer. May and September also offer comfortable temperatures, with slightly less crowds and fewer cruise ships. Our team of travel experts can customize a unique program for you based on your exact preferences and interests. 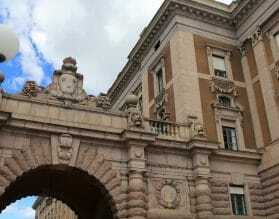 We suggest you allow a minimum of three nights in Stockholm to explore both the city and the surrounding countryside. Stockholm combines wonderfully with other parts of Sweden, Norway and Denmark, as well as, with Lapland further north. If you are on a Baltic cruise, chances are you may be embarking or disembarking in Stockholm. We can arrange a private pre/post cruise extension with your own Exeter hand-picked private guide to experience the city before or after your cruise. Our private pre or post cruise extensions ensure that you’ll receive not only the best experience possible, but personalized service throughout, allowing you to maximize your time in the city. On occasion, Stockholm falls in the middle of a Baltic cruise as a port of call. We can arrange a private shore excursion with your own Exeter hand-picked private guide, just for the day you are in port. Our private shore excursions ensure that you’ll receive not only the best experience possible, but personalized service throughout, allowing you to maximize your time in port. 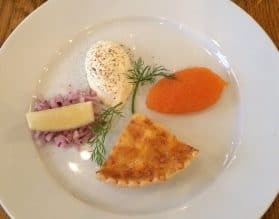 Read Leigh Landis’ Insider Guide to Scandinavia, including top tips for Stockholm, and get in touch with us to help you plan your trip. Everyone visiting Stockholm should make a point of visiting the Vasa Museum. This is Scandinavia’s most visited museum (and for good reason), known for its maritime history and housing of the Vasa warship. The Vasa, perhaps the grandest and most ambitious ship ever to be built in Sweden, is the city’s prized treasure. She capsized and sank straight to the bottom on her maiden voyage in the 17th century only to be salvaged nearly 333 years later in 1961. Since then, a wonderful museum has been built around this magnificent ship, showcasing Sweden’s long standing maritime history. Stockholm is one of the design capitals of Europe and their restaurant scene lives up to their Scandinavian- design aesthetic. Diversity in cuisine, a zest for experimentation and the opportunity to experience fresh organic ingredients make this an excellent city to have a gastronomic adventure. At fine dining restaurants, reservations are strongly recommended, but for most others you can make your plans on the same day. Many restaurants are closed on Sunday. At all fine dining restaurants, a jacket and tie are recommended for dinner. Fem Sma Hus is one of our favorites! These five small houses date from the 17th century to create a delightful restaurant in the old town with century-old cellars. Filled with antiques and charm, it is located in Old Town, close to the Royal Palace and is considered one of the classics in Stockholm – both in atmosphere and food. We also recommend popping into Den Gyldene Freden, which is the oldest restaurant in the world (dating to 1722) with an unaltered interior. Perhaps Sweden’s most famous souvenir is a Dala Horse. Originally hand-carved and painted, it has since become an icon of Sweden. While other colors exist today, red is the one to go for. For those looking for a truly local handicraft, we recommend picking up a pair of traditional hand-woven socks or mittens. The wool is harvested from sheep throughout Sweden and woven into traditional designs in a multitude of colors. Svensk Slöjd in central Stockholm, is known for its quality and authentic woolen items.